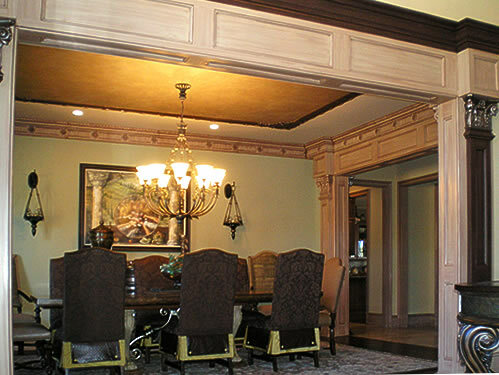 Faux finishes and decorative artistry on this ceiling add elegance to a lovely dining room. 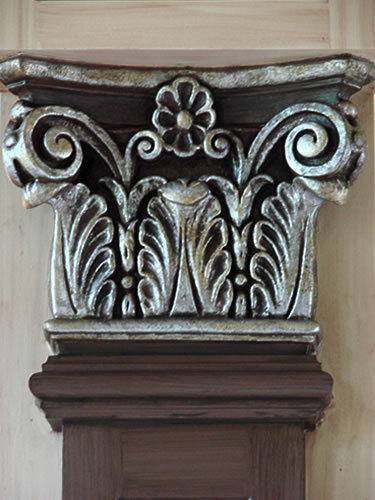 The beautiful raised details of the exquisite trim are barely seen when they are stark white. 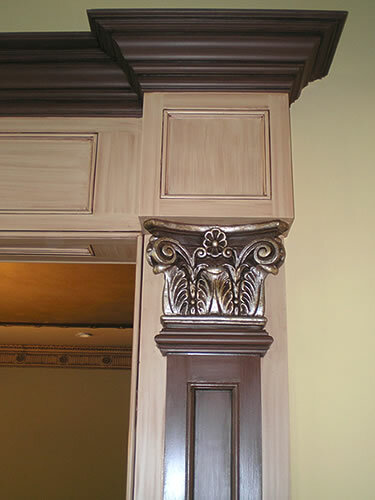 Clever use of color enhances the appearance and accentuates the craftsmanship. 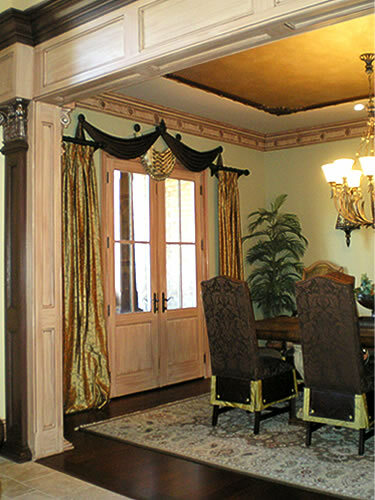 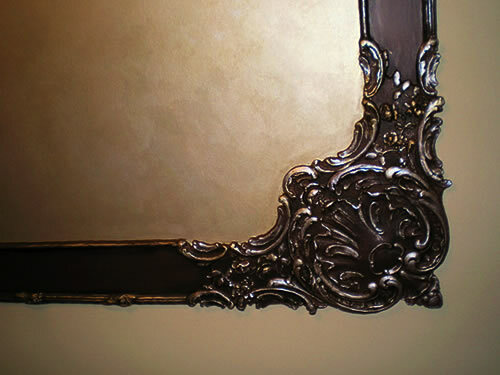 This allows the trim to act as an embellished frame to the magnificent furnishings within the dining room. 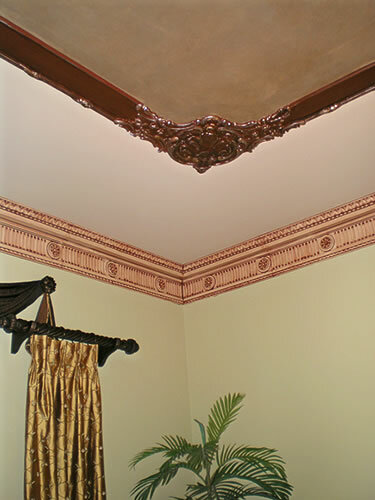 The raised detail of the ceiling mimics the finish on the columns. 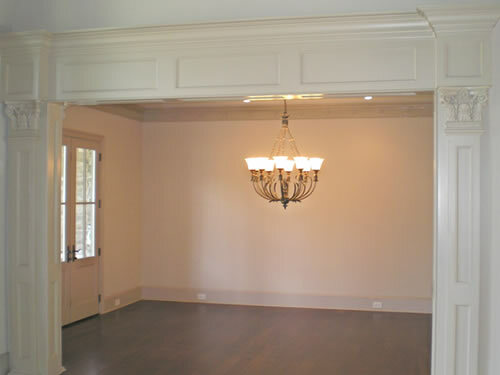 This acts to unify the design of the space. 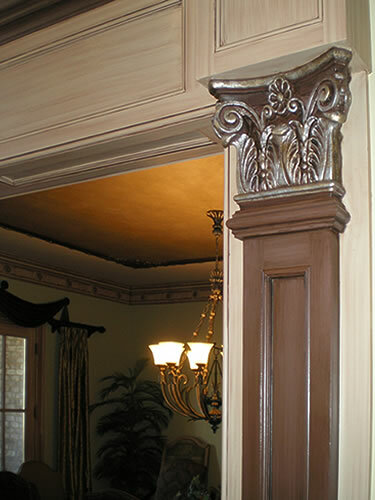 Upon entering this foyer, the view is now pretty as a picture.